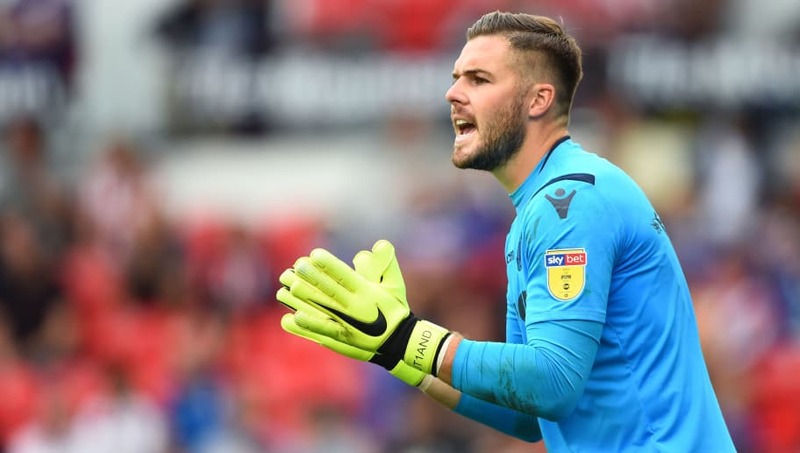 Gareth Southgate has warned Jack Butland - and other Championship players hoping for an England call-up - that they must be playing Premier League football to stay in contention for international duty. Butland stayed at ​Stoke during the summer despite their relegation to the Championship, with potential suitors put off by the Potters' £30m asking price. ​Butland played the full 90 minutes for England against Switzerland on Tuesday, but Southgate says that there are question marks over his place in the squad because he is not facing the same quality at club level as the other available options. "Like every other position, we have to try to assess who our best performers are moving forward," said Southgate, quoted by the ​Mirror. "In the Championship, the quality of crossing that comes in, the quality of finishing, isn’t the same level as the Premier League. "With the other guys, it is an easier comparison. He is a goalkeeper who has come right the way through our system, who has been a high performer and, but for size of fee and other consequences, he would probably be in the Premier League. "I didn’t want to just discard him because of that but, like the other guys, there is a challenge on. But that is the same in every position." England have no shortage of keepers they could call on instead. Jordan Pickford, Marcus Bettinelli and Alex McCarthy, who were on the bench at the King Power Stadium on Tuesday, are all first choice for their Premier League clubs. The Burnley trio of Tom Heaton, Nick Pope and Joe Hart are also available.